Notification No. 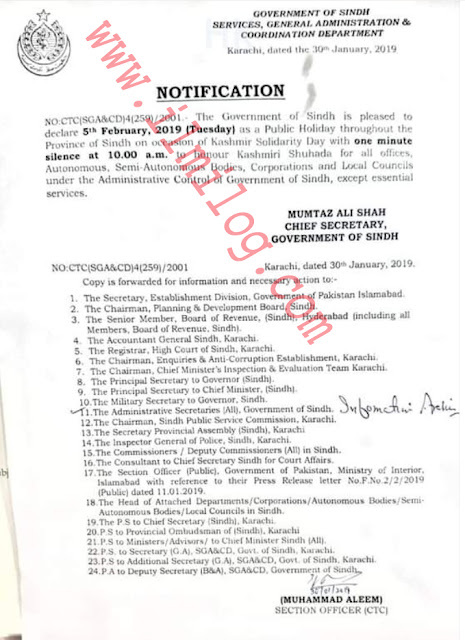 CTC (SGA&CD) 4(259)/2001 dated 30-01-2019 regarding Pakistan holidays 2019 announced on occasion of Kashmir Solidarity Day Sindh by a government of Sindh SGA&CD. 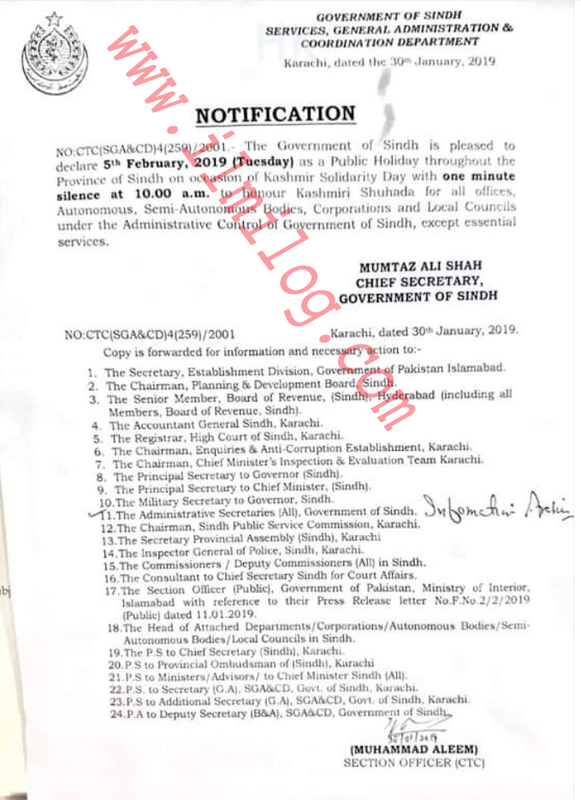 A Sindh Government has announced as Pakistan holidays 2019 5th February. 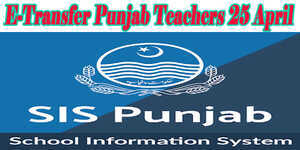 2019 (Tuesday) as Public Holiday throughout the Sindh province on occasion of Kashmir Solidarity Day with one-minute silence at 10.00 a.m. to honor Kashmiri Shuhada for all offices, Semi-Autonomous, Autonomous, Corporations and Local Councils under the Administrative Control of Government of Sindh, except essential services. Special Thanks to Irshad Yousafzai for this notification to an ilmilog website.